Meeting through joint friends, Frank Spinath and Martin Vorbrodt came from different worlds. Because they were so different personality-wise and musically, they weren't certain if a musical collaboration would work. Despite this, they decided to try anyway. The duo quickly discovered that their differences yielded a successful electronic sound that thrived with creative contradictions. They decided to call themselves Seabound because of Frank's love of the ocean and the fact that Martin was born near the shore. The name also implies a ship leaving from a safe harbor into the unknown and sometimes treacherous seas, a metaphor for the band itself. After sending out a few demos, the band was signed by Dependent Records in Germany who released their 2001 debut, No Sleep Demon, as well as the Travelling single. Blended with fantasy, the album was personal and honest; offering personal insights into the psyche to create a strange emotional journey full of obsession, devotions, doubts, anger and fear. 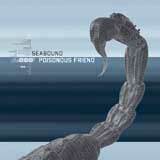 Seabound toured twice between 2002 and 2003 in support of the album: a European tour with Covenant, and a North American tour with Stromkern. The band gained the attention of Metropolis Records in 2002, who in 2004 docked them on the North American continent with the band's second album, Beyond Flatline. Following in the footsteps of Covenant, Haujobb, and Wolfsheim, the electro-pop act quickly left their mark on the electronic music community. Beyond Flatline, which featured catchy "toe-tapping" beats, soothing vocals, atmospheric melodies and intriguing sequences, was met with great success. 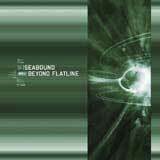 Shortly after the release of Beyond Flatline, Seabound returned for another round. The Poisonous Friend EP features several remixes by Olaf Wollschlager (Yello, Melotron, and In Strict Confidence producer), Haujobb, Cut.Rate.Box, Andrew Sega (Iris), Stromkern, and Tom Ellard (Severed Heads). Two previously unreleased tracks are also included on the EP, "Without You" and "Traitor." 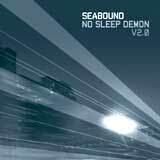 After experiencing much success with their last two releases, Seabound re-released their debut, No Sleep Demon, now entitled No Sleep Demon V2.0. The completely re-mastered album featured enhanced mixing as well as a 12-page booklet complete with brand new artwork. At a running time of nearly 64 minutes, the re-release included all 10 original tracks along with three bonus tracks: "Day of the Century," "Hooked (Radical Mix)" and the vocal version of "Avalost." the more you see through the facades, the more life's contradictions and irreconcilable needs will haunt you. If you lack the naïveté to find consolation in easy dogmatic rules, you will have to face the unsolvable sooner or later. From the fast paced Traitor where anger and frustration prevail to slower paced Sapphire where hope is present, Double-Crosser explored the temptations that we are faced with everyday and how they affect the people dearest to you. 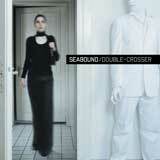 For 2007, Seabound released their first ever live album Come Forward - Live In Berlin to audiences in both the USA and Europe. 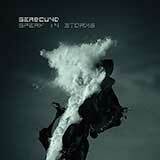 Playing live has become an essential part of the Seabound experience, says singer Frank Spinath. This concert is full of intimate moments and strong feelings. 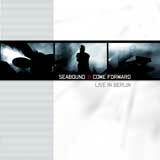 Coming forward has never been so personal. Come Forward - Live In Berlin features many of Seabound hit tracks including: Scorch The Ground, Exorcise, Poisonous Friend, Hooked, Watching Over You and more. 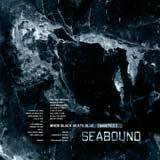 In February 2009, Seabound released their first ever rarities compliation entitled When Black Beats Blue [Rarities]. Featuring several unreleased remixes collected throughout the course of their career, the album is goldmine of dancefloor hits just waiting to be discovered.